This is the final post in the series of twelve. Unless I decide to keep going. All posts are categorized as $10K Degree. I’ve probably gone too far. I might have had a useful nugget or two, but I’ve probably taken these ideas to an extreme point where almost everyone will say something like: “That’s crazy talk. It’ll never work.” Sigh. Maybe my thinking has been influenced too much by living close to the Mall of America (MoA). Maybe my thoughts that public education should be done in public are just too weird for general consumption. Maybe it’s my thoughts that traditional faculty work belongs in traditional universities – and that new institutions need to reinvent what it means to be a faculty member. Maybe it’s my ideas around how college students (yes, lowly college students) can actually produce goods and services of value – and that they shouldn’t have to pay for the chance to do so. Maybe the agrarian academic calendar just doesn’t make sense in the world of today – but of course I must be wrong about that. Maybe a college just isn’t a college unless it has rooms with rows of seats and/or computers with the authority figure standing up front demanding attention, whether it is deserved or not. Maybe I’m just totally out to lunch. Maybe. 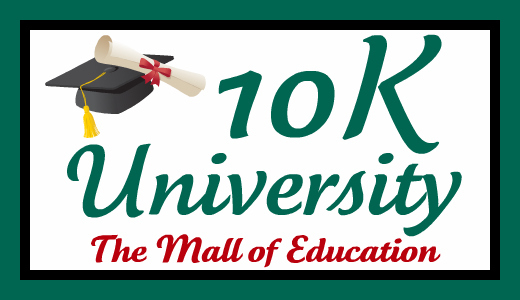 The Mall of Education (MoE) is a real mall. (Sidebar: yes, I know that malls are the bane of our existence – that they are a blight on society – but maybe that’s because we’ve been using them wrong.) Rather than build elaborate classroom and office buildings for this new educational venture – we just take over one of the dying malls in this country. Or 100 of them. What happens at the MoE? All kinds of things, many of which you just don’t see in traditional colleges and universities. The general public comes and goes at the MoE. They are welcome on “campus,” in fact they are needed for the college to survive and thrive. The general public can come to learn along with the students, to teach along with the faculty, and to seek and purchase real goods and services at the MoE. You want real, not artificially created, interaction? That’s what will happen every day at the MoE. This is a different twist on the concept of Open Education Resources or the Open University – this is Education in the Open. Let’s say that Billy Bob lives in the community where MoE is located. Billy comes to the MoE because he has heard that the web design students create real websites for real people and real businesses. Those students also maintain and improve the college website. Billy is starting a new business and he needs a website. He can’t pay thousands of dollars, but he can pay a few hundred dollars to have his site created by the students who work alongside the web design faculty member, who just so happens to be a real-deal web developer – who can also teach others how to do it. Billy Bob gets what he needs, the students get a real education in web design, and the community benefits in many ways. Similar to the web design students, the auto service students work in a real auto repair space (probably originally occupied by a Sears or Firestone store). Real people bring their cars to be fixed at the MoE. Students deal with the customers just like they’ll have to deal with customers out in the “real world.” In case you haven’t noticed, the MoE will be the real world. All students, regardless of degree program, will receive education related to providing superior customer service. Someday, somewhere, they’ll be in a position where that will be important. When it comes along, they’ll be ready. Yes, even the English students. What? English students? How in the world do English students fit into the concept of the MoE? Just like everybody else does. Since they won’t be getting jobs working in the English industry, they will experience many different jobs at the MoE. They’ll revise and improve the menus at the restaurant, they’ll engage in public literature readings for pre-school children. They’ll hold court in the MoE public spaces for their weekly Poetry Slam – where dozens of community people will come to listen and encourage and engage. I know that sounds crazy – but yes, public speaking will actually be done in public rather than in the controlled, private, traditional classroom environment. The English students will also work with the automotive and web design students (and others) who need to improve their language skills. Then they’ll graduate and be successful in whatever comes next. Students in health career fields will serve the public in community clinics similar to the way they do at Lake Superior College (see previous post). People who are able to pay some fees will pay those fees to help support the MoE. Maybe health insurance can be used to help pay for the care received at the MoE. Maybe people with low income can afford $100 to get some dental care. The local dentists will hate it. They’ll cry bloody murder that the MoE is damaging their businesses. They’ll be wrong about that. Everyone will benefit from this arrangement. This same concept can be applied to many, if not all, of the health career programs. Speaking of competing with local businesses; in some states the MoE would not be allowed without legislation being passed to specifically allow it. In Minnesota, for example, there is a state law prohibiting colleges and universities from directly competing with private businesses (or so I’ve been told several times). In other words, they want college students to learn how to be competitive in the global environment, as long as they don’t compete with the local business environment. Too damn bad. Get over it. This is how we will be able to afford education in the future – don’t shut it down (before it opens) due to 19th/20th century policies. The mall needs to have several different restaurants, so it’ll have a large culinary program where the students earn competencies in various different cuisines. Lots of other students also find work to do that is needed in a restaurant, but is also relevant to their program area. Customer comment cards become one piece of evidence that is used to determine when the students have achieved needed competency levels, along with the input from assessment professionals. What about art students? Too easy. How about art students who create their art (paintings, drawings, ceramics, etc.) in public? There is a constant student art show – renamed as the Student Art Store. People buy artwork for gifts, for home decoration, or just to support the art students and the MoE. Music, theater, and dance? Sure. Every day there would be public performances or just open practices at the MoE. Come and enjoy. If they need a few extras and someone from the public would like to join in – well, wouldn’t that be great? I taught accounting for 17 years. How will accounting students learn at the MoE? Easy. Working with the accounting faculty, they will be responsible for the bookkeeping and accounting work needed for the different “businesses” (programs) at the MoE, as well as accounting for the college as a whole. They”ll learn accounting by doing it rather than trying to learn just out of a textbook. Trust me, they’ll learn much more. They’ll also be responsible for teaching other students about how to manage their personal finances (after the accounting students learn it first). Normal colleges do a poor job of teaching students about the lifelong skills they’ll need related to investments, taxes, insurance, and the like. MoE will do it for every student who comes through the electronic sliding door. There is a huge disconnect in American education that we almost NEVER teach lifelong financial knowledge/skills to students at any level. All students, regardless of program choice, will engage in the liberal arts through the Great Books, similar to St. John’s College. Yep, even the automotive students. Basically this would look like lots of reading circles, and yes, the public can join in the conversation if they like – or just come and lurk and learn while the faculty and students discuss the great books in public forums. Maybe we need some Latin in the learning mix as well. Nobody escapes from demonstrating the competencies for critical thinking, nor learning about etiquette and netiquette, nor conflict resolution, nor any of the other soft skills mentioned in post #10. Doesn’t matter which program area you are in, these things are important – and they become more important as you shift through various jobs/careers in your life. You might be thinking that this is just on-the-job-training (OJT). You wouldn’t be wrong, but I’d say it’s OJT++, where the first plus is soft skills and the second plus in entrepreneurship. It might be better to call it College in the Real World (CRW). Besides, “training” always makes me think of training dogs – and we’re talking about people here. Maybe it’s time that we consider a new degree classification. I’ve been struggling with the thought that many of these degrees won’t “look like” a baccalaureate to many people. Of course those people are stuck in the past with an inflexible idea of what B.S. (or B.A.) “should” look like. Still, rather than fight that idea, maybe we need another classification. Not necessarily something that fits in between two existing degree levels – but something that stands alone. Something that is considered to be different – precisely because it is different. Rovy Branon replied to one of these posts on Google+ with an idea that deserves consideration. Rovy suggests that we look at the GED for inspiration. The next two bullets are his words. See his whole thought at his Google+ post. Less emphasis on specific skills and more emphasis on lifelong learning and knowing how to learn and stay current in your career field(s). Heavy emphasis on OER and other resources freely available. Expensive textbooks not required. The Great Books are free or very inexpensive. When the general public comes through our doors, they are agreeing to participate in the act of public education. Students will survey them and learn from them and in other ways conduct applied research with them as subjects. However, it will not be the home for all degree options. We’ll still need traditional schools for much of that (at least in the short term). Since I’ve been heavily involved in developing online learning opportunities, many people probably assumed that I would be recommending a heavy dose of online learning as the solution to the high price tags of education. Nope. Not at all. There are already lots of people working in the build out of online learning. I’m not trying to change education through online learning. I’m interested in changing place-bound education. However, there would be some online learning involved at the MoE – primarily for those things that don’t need to be covered while the students are on site. It also could be very effective as a preparation for students before they ever begin to work/learn on site. It’s kind of like the idea of the flipped classroom (only better). There won’t be any traditional lectures (closed off in a classroom) at the MoE, but some instructional delivery could be done online, if appropriate and valuable. Nothing in education is ever one-size-fits-all. I’m not proposing that all colleges and universities should adopt this model. Not even close. I could see two or three schools of this type being supported in every state in the U.S. Yes, public schools, supported by public dollars. But, no, these schools wouldn’t be for everybody. Faculty who want to do academic research will continue be able to get jobs at the thousands of universities that will still be out there. Students who really need a football team to cheer for, will still be able to go to all of those other universities and colleges. Students and faculty who prefer the “sit-n-git” approach to learning and teaching will still have lots of places where they can go for that. 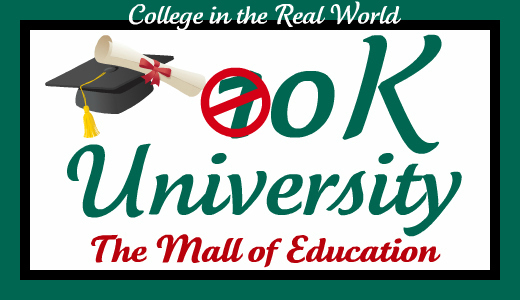 Just not to the Mall of Education. Administrators who prefer to sit in an endless array of meetings each and every day – will still be able to do that in traditional academia. Final Question: What will this cost the students? Sorry, I can’t be 100% sure about the answer to this question. This is a big idea that requires lots of details. I haven’t built a detailed business plan since that would require a boatload of hours for this thought exercise. If it remains just a thought exercise without any real chance to build such an educational opportunity, it’s really not worth the effort to work out all the gritty details. But as far as the sticker price goes, I can take a wild guess. I’m most familiar with the state funding provided to 2-year schools in the Minnesota State Colleges and Universities system (worked there for 15 years). Although the funding continues to shrink, I’m pretty sure that the allocation of state dollars works out to about $5K per equivalent full-time student per year. State universities in the same system probably receive a higher amount per student . If a state government was willing to fund the MoE at a rate comparable to the current rate of $5K per student or so, per year – I’m pretty sure that students could earn their degrees without paying any tuition or fees. Through their labor and creativity and sweat, they will generate the rest of the money needed for the school to operate. Those eligible for federal and state financial aid will be able to pay their living expenses with that aid. Yes, this is a lot like Berea College and the College of the Ozarks (see post #11) – students work their way through the degree program – with a little help from their friends, including the state legislators. I used the phrase “comparable rate” for a reason in the previous para. This will not be a “four-year degree” because students will be able to earn their competencies at a rate that is appropriate for them. Some might do it in 2 or 3 years. Some might take much longer. The state funding model based on how long the student attends if rife with problems (“we’re not going to let you graduate yet because we need more money!”) – so, we’ll need a new model. Possibly a formula that provides funding to the school based on (a) # of students starting a program, (b) another chunk for each student who reaches 25% of the competencies, (c) a chunk at 50%, (d) another at 75%, and (e) another upon graduation. Or something along those lines. In conclusion: I believe that a state funded school could be run efficiently, effectively, and under a completely different model where students and employees serve the public – and that type of education could be free to the students. Ready? Fire! Aim. – I’ll appreciate reading any shots that you’d like to take at this plan in the comments. The engineering technology education community, e.g.TAC of ABET (http://abet.org) ought to be “all over” this idea! Have you heard anything from those circles of relatively less “traditional” academia?